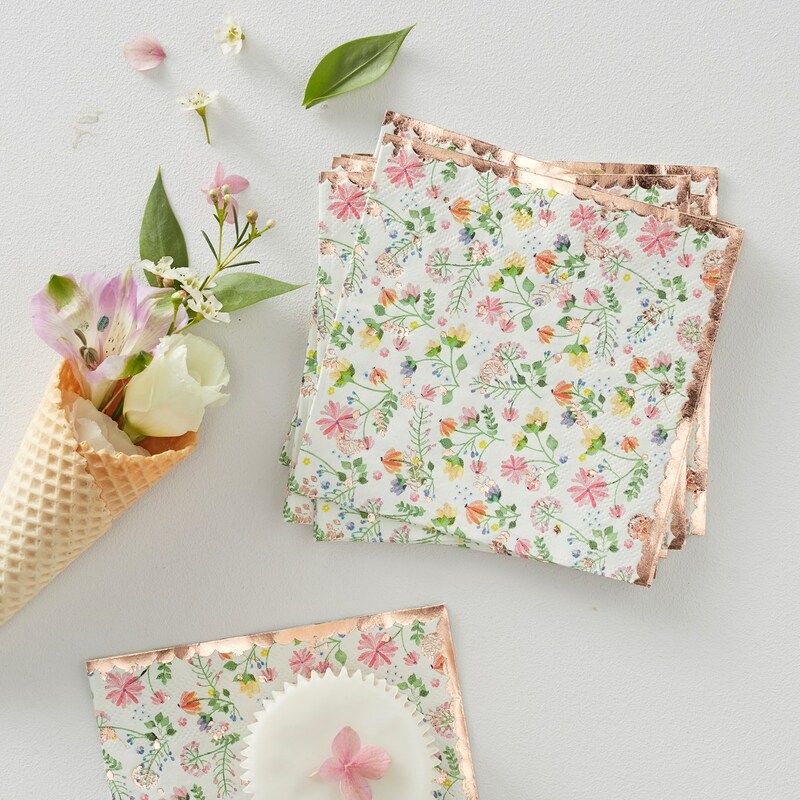 Perfect for little guests and adults the Ditsy Floral napkin is the cutest accompaniment to any celebration. The floral print is bursting with colours and gorgeous rose gold elements which will be loved by your guests and the perfect size for delicious canapes. The dainty rose gold scallop edging will look beautiful paired with our gorgeous Ditsy Floral plates for a perfect party setting. Each pack contains 16 napkins measuring 240mm when open.